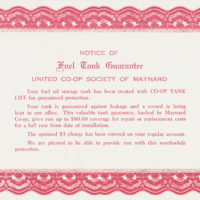 Two storage permits issued by the fire department to store oil on the premises. 1. 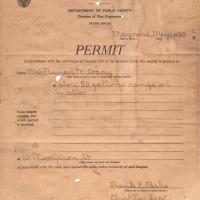 To Mrs. Francis M. Coady, 60 Thompson St - 1933 - by Frank E. Parks, Fire Chief. 2. 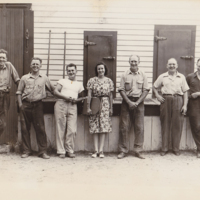 To Elmer H. Maynard, 43 Great Road - 1942 - by Richard Allan, Fire Chief. 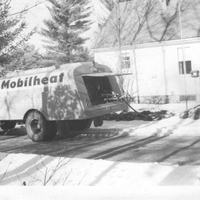 It was located off of Mill Street. 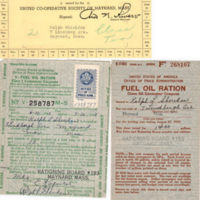 A collection of ration coupons including War Ration Books One, Two and Three, Fuel Oil Ration, United Co-operative Butter Card, V-Fuel Oil Ration and Sugar Ration. 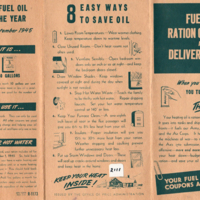 Booklet and use record used during the war to help reduce fuel consumption. 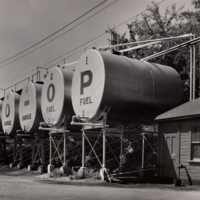 These tanks were located on Euclid Avenue. 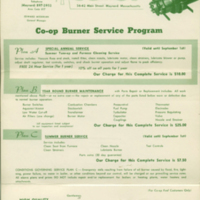 Oil sales and delivery was one of the many services offered to the co-op's members. 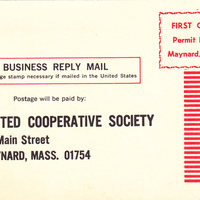 A promotional card offering "Co-op housewarming Service"
Eight oil delivery receipts from 1970 to 1973 of oil delivered to Edmund Rubin. 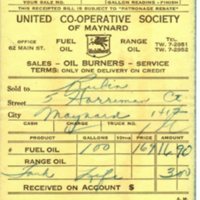 A series of oil bill receipts and other receipts from 1964 billed to Paul Boothroyd.